This one went over really well with V. I got plenty of compliments on it. He’s words “Best chicken ever!”. With plenty of variations of this recipe all over the internet I decided to have some fun and play around with. I really wanted a dish with a good flavor, tender chicken, and real Italian flare. This Italian Chicken Roll Ups recipe does the trick. The bit of heat from the peperoncini’s and their juice along with the roasted stewed tomatoes sends something epic for the taste buds. 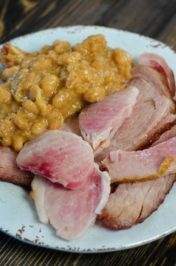 What I truly love about this recipe is the ability to use the last few slices of sandwich meat and turn it into dinner! Like many of the others I did not add marinara sauce or spaghetti sauce as I thought it to thick and drown the chicken. The roasted stewed tomatoes over the top has to be my most favorite part. It pairs well with any rice such as peppered rice, lemon garlic rice, or even basic brown rice. Use the juices from the bottom of the chicken pan to drizzle over plain rice for extra flavor. Tell me what’s your favorite chicken recipe? Do you like if fried, baked, or simmered on the stove? My favorite would have to be bourbon chicken or chicken lo mein. They are both easy to make and full of flavor. 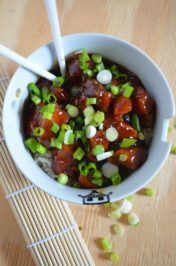 Has to the combination of the brown sugar and soy sauce when it comes to bourbon chicken. Italian Chicken Roll Ups are super simple to make. Very budget friendly as you only use three chicken breasts and it makes nine chicken roll ups. This is a good one for when you have friends over for dinner or have a crowd to feed. It looks pretty too! 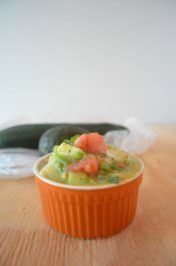 Serve in the casserole dish or on a appetizer tray. You can also size these down to make appetizer bites too. 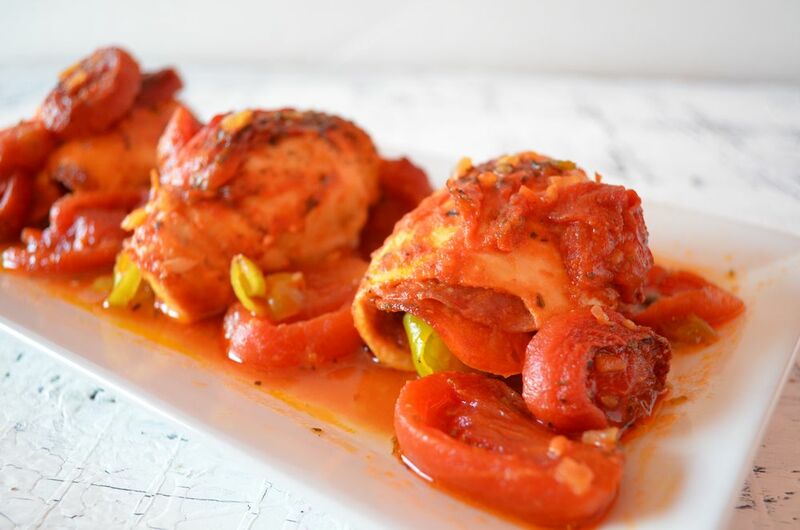 Chicken rolled with salami and pepperoni stuffed with peperoncini’s baked in peperoncini juice and stewed tomatoes. Preheat oven to 400 degrees F. Lightly oil casserole dish with olive oil. On a large cutting board slice chicken lengthwise into threes. Lay one piece of chicken down and layer with salami, pepperoni, and peperoncini’s. Roll from top to end. Place in dish with fold end down. Repeat with the rest of the chicken. 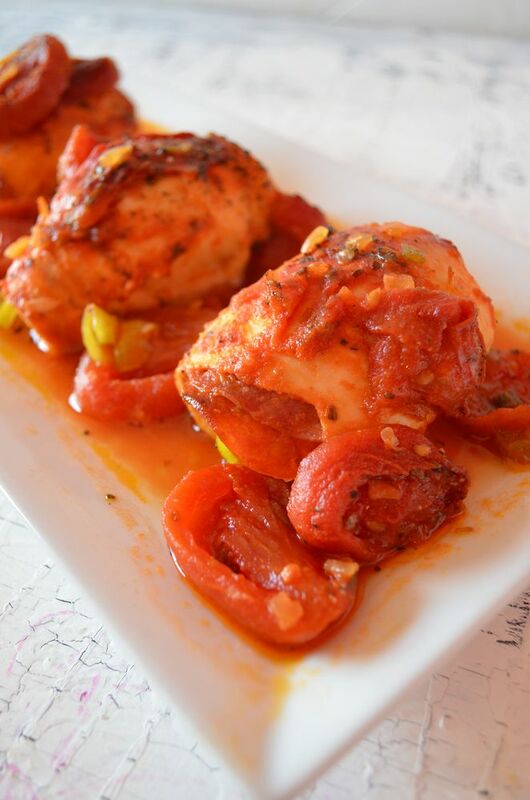 Top chicken with peperoncini juice and two cans of stewed tomatoes. Salt and pepper the dish. Cover and bake for an hour and ten minutes. Remove foil and bake for another twenty minutes. Remove from oven and serve warm. Cook rice when chicken has cooked for an hour and ten minutes. Top rice with juice from chicken when serving. This looks great, Jenne! I love that it’s fast and easy, too. I can just imagine that yummy tomato juice mixing with some pasta… yum! Next time I make it I might reserve the juice for a pasta salad the next day. Not a half bad idea! Thank you! This looks great! My family would love it! Thanks for sharing! Oh, this is making me hungry just looking at it! I love peperoncini’s too. This sounds so good, but an hour and a half bake time is just not practical for me. Have you had any success converting this to a pressure cooker recipe? Not yet Melissa. However, I can put it on my to do list for this week. Shouldn’t be hard at all.